When Nissan redesigned the 7th gen they almost had a perfect car but the decreased dimensions pretty much ruined everything for this generation. The car grew in width but shrunk in length that's a poor strategy because now you have a car that's smaller than its predecessor from some 2 generations back the 5th 2000-2003. The 7th gen is a beautiful car but now you wanna take your friends,collegues and co workers for a spin you don't want them riding in a cramped car. What if Chrysler had redesigned the 300C and made it smaller than the 200C or the Charger smaller than the Avenger. the 6th gen is bloated but it's large interior comes at a big advantage. by the 6.5 Gen It was all over by decreasing the HP from 265 to 255 due to new regulations and giving the Altima 270. the 290HP in the 7th should have went into the last two years of the 6th with 280 and then just carried over the same engine into the 7th gen with the 10HP gain of 290 that would have been the smart thing to do. Some may disagree but it's perfectly fine I give you permission but it all makes sense when you think about it. Last edited by Chris Alexander; 04-22-2013 at 04:37 PM. 2002 Maxima Cargo Volume 15.1 cu.ft. 2009 Maxima Cargo Volume 14.2 cu.ft. 2009 Maxima Passenger Volume 96 cu.ft. I think Nissan has been on the upswing with the Juke, new Sentra, Altima, and Pathfinder. The 7th gen is an eye-catcher and there was nothing else on the road that looked like it. Nissan created a stand-out visual masterpiece. I'm guessing they are getting ready to hit the auto world with another home run in design and function. T200 Yeah the 7th gen's are nice. Last edited by Chris Alexander; 04-22-2013 at 05:49 PM. Shot off the starboard bow...the new Acura RLX. Trying to be a sportier RL. Eh. The 8th gen Maxima is going to be something between the RLX and the Avalon, and hopefully moves much much much away from the Avalon. Man and I thought the 7th gen Maxima was heavy. Acura nailed it with the RLX that car is years ahead of its time. now if Nissan can make the Maxima anything like that it would be great. But if it looks anything or drives anything like the Avalon I guarantee you Nissan will go out of business because no one will buy the Maxima. But Toyota did copy the 6th gen Maxima when they redesigned the Avalon in 2005. I hate to say it but Nissan unfortunetly wasn't what it once was in the 90s. But it's not only Nissan all the car companies are on the cost cutting bandwagon. Toyota is in far worst shape then Nissan will ever be and you could say Nissan is a better brand right now. The only car company that I can honestly say who seems to be nailing it is Mazda and maybe 1 or 2 others. Last edited by Chris Alexander; 04-23-2013 at 12:37 PM. I think the reason behind them reducing the horsepower was due to torque steer. I had the opportunity to drive a 2006 6th gen and the torques steer was fine for me because I was expecting it. But unknowing drivers who put their foot down may not like it and ended up finding themselves in a hairy position. Also, the CVT was introduced with 6.5 gen and adding horsepower on a brand new trans probably isn't the best idea until it has proven itself. i think once Nissan felt they had developed the CVT enough they could start adding more power to the CVT hence why we are blessed with a 290hp front wheel drive car that doesn't suffer from nearly as much torque steer as the previous generations. Although I still wish they would bring the 6spd back. That makes sense I understand not wanting to add more power because you already had transmission issues in the 6th gen and more power could intensify that thanks for sharing, me personally i've never experienced torque steer with my 6th gen. I've seen it and experienced it more often in our previous 03 Altima. I wasn't a fan of the CVT when it was forcefully paired with the Maxima. I finally test drove the Max in '09 with the paddle shifters. Lets say I was really skeptical when I first started driving it. The dealer let me drive it how I wanted and I was impressed with how nimple the car was compared to the 6th gen and how the transmission didn't override my gear selection. It let me hold whatever gear I wanted. It wasn't as fun as driving an actual manual transmission but it was still fun and you can always put it in normal drive mode when you hit traffic. And for me and being in the DC area, that is a plus. I used to drive a civic I converted to a stick around in DC in the dead of summer without A/C (by choice). Needless to say that wasn't fun in the city. But to each is his own opinion. I now have a 2010 Altima with the CVT and I'm pretty happy with it. It's a possibility that some cars suffered from it more than others. The one I drove at the time was a SE with brief listing of 265hp. Not sure if the suspension setup between the SE and SL calmed that down or not. I have a friend who has a 6th gen thats a 6 speed with some minor mods and his chooses when it wants throw out torque steer. But like I said before, its not something I really mind any way. Last edited by NmexMAX; 04-25-2013 at 08:53 AM. I sat in the new RLX at the NY Auto Show a couple of weeks ago and, interior-wise, Acura definitely nailed it. Loved everything about the amenities, layout, audio system, and overall feel inside the cabin. Of course, I couldn't drive it but I wouldn't mind taking one out on the road. Dave, I know exactly what you mean about the DC traffic. I used to drive from Delaware to the Navy Yard everyday for three years. I actually got used to the CVT from my 2008 Sentra. Moving up to the Max was just a *little* adjustment to the additional power. T200 You've done an excellent job with your 7thgen it's on point especially with the 20s on it. The RLX I would hope that the 8th gen would have that same type of setup and sophistication and similar design as well as size. If Nissan can create a Maxima similar to that but not a carbon copy then the Maxima would be back on track. Last edited by Chris Alexander; 04-23-2013 at 08:06 PM. Thanks Chris. I really like the look of the 7th gen. Performance-wise, I would have liked to see more aftermarket parts for it. From listening to other enthusiasts, the CVT has deterred manufacturers from investing in parts for those trannies because they're difficult to dyno, making it hard to quantify any gains. Consumers like numbers - we want to know how much additional HP we're going to get. It's like these forums - no pics, it didn't happen. No numbers from the manufacturers, it's just talk. I'm banking on Nissan coming through big time with the 8th gen. But, my backup plan is either a CTS-V or the new Grand Cherokee SRT8. What do yall think of this for the 8th gen? Last edited by Chris Alexander; 04-25-2013 at 02:33 AM. Is that a bad thing? The new Dodge Dart looks pretty cool to me, and I like that 1st pic too. 8th Gen Maxima Spy Photo? Oh no way man that's too small and regular to be the next Maxima it doesn't say Maxima it says Jag. The next Maxima has to be shocking and revolutionary and make us all go crazy that looks like a ford! Nothing towards you but that won't cut it that doesn't say Maxima that says Fusion sport! Last edited by Chris Alexander; 04-29-2013 at 04:44 AM. I like the first one. If the 8th gen looks anything like that and comes with at least 305-310, I'll be in one. Black, of course! I dont think Nissan would style it to look like the M but who knows. And I dont blame Nissan for shrinking the 7th gen, no offense to you 6th gen guys but the 6th gen is a little fat. The 5th gen proportions are actually really nice if you ask me (and yes thats a bias statement). The problem that Nissan has to address is: where does the Maxima fit in in relation to the Altima, and how will it be differentiated from the Altima without stepping on the toes of the Infinti G.
I think it's the new Max as well: check out the chrome window trim on the mule and then compare it to the 7th gen. Looks identical to me. Last edited by T200; 04-30-2013 at 11:49 AM. The 6th gen was bloated wasn't the problem. It lost a touch of sport sedan feel and went all Luxury. The Infiniti M became bloated but was RWD and had a tight suspension setup and its succesful. The 6th gen Maxima had it followed that same pattern it would have been more in tune with the Maxima drivers would wanted sport and sophistication. But the 6th was just the opposite soft and big, soft and stiff more than the SE could have worked. So if you make the 8th gen Maxima smaller than the 7th gen your gonna have big trouble because the Altima is gonna be taken a step further up do it's gain in interior room. You never want the Altima to be bigger than the Maxima. The Maxima has to lead in everyway. The concept looks good from the Front to the rear doors but the tail light, but those tailights are horrible that's definetly a Ford inspired look. The next Maxima can have this look but once that mask comes off the 8th Gen's gotta have those shocking good looks that most new Maximas on the market do, and be more distinguishing than a Camry or an Accord. You don't want the next Gen Maxima to be too ordinary different than the rest is what you want. The 6th gen came out then Toyota tried to imitate it with the Avalon and Lexus with the GS. 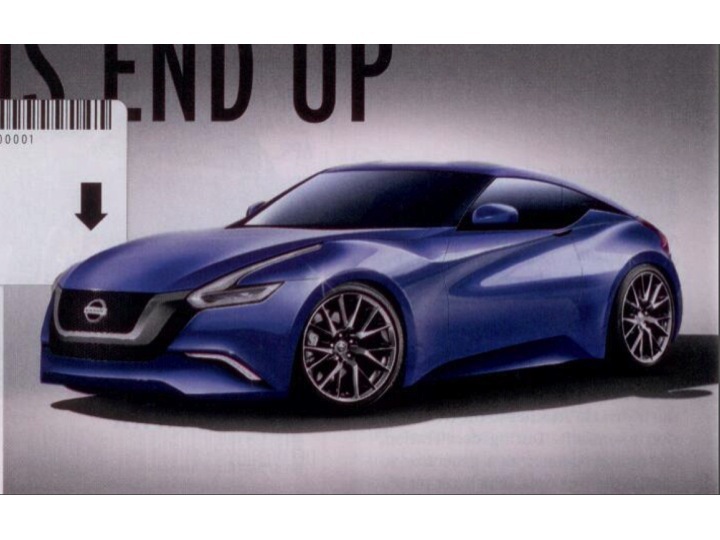 If the Next Maxima looks like that I'll have to contemplate getting a 7th gen T200 a nice black SV on some 20s or 22s. Last edited by Chris Alexander; 04-30-2013 at 12:39 PM. I've said this before but I see the Maxima dying off for good at some point. With the Altima getting the most attention out of the 2, I see the Altima replacing the Maxima a some point. It may go RWD being that it's in the V8Supercar series and Nissan may use tech to make the Altima the new 4DSC with RWD. Just speculation though. Also, with the G37 around, I don't see much more happening for the Maxima in terms of "excitement". All you gotta do is take this right here stretch it and put 4 doors on it give it a 7spd automatic/manual option. 310HP And you got a Hot Maxima. Look at that Front end you know how nice that's gonna look coming down the street!!!! I saw the picture of the 8th gen maxima and next gen murano. I don't know if this correlation here is politically correct but the Max may be styled more like the M the same way the new Teana basically became a de-badged Altima. May have to do with Nissan's emphasis on moving the Maxima towards the luxury market. I definitely think the pics just posted depict the new Maxima. If that's the new Max, I'll be getting one!!! I've experienced the changes from generation to generation with the Maxima first-hand, as I've owned a 4.5 gen, 5.0 gen, and now currently own a 7.0 gen (Also test drove a 6.5 gen but don't have much info on it besides a first impression). I would have to say that performance-wise the 5.0 had the edge (although it came last in styling IMO). It was alot quicker than the 7.0 gen even with the VQ30 (I can just imagine how quick the 5.5 gen was with the VQ35). The Maxima was definitely a true flagship sedan and lived up to its 4DSC nameplate through the 3rd gen and some would even say (myself included) through the 4th gen. The 5th gen was when things started going downhill little by little. When Nissan introduced the 2002 Altima, it immediately became a popular choice for a midsize, family sedan. It was also the first time the Altima was available as a V6. The fact that the Altima and Maxima both were available with the same engine created a split between consumers. They were able to buy a V6 sedan that was about the same size for about $2-3k less. To make up for this, Nissan had to quickly redesign the Maxima (hence the reason why the 5th gen only lasted 4 years as opposed to the average 5 or 6). For the 2004, Nissan redesigned the new Maxima around a stretched Altima platform. 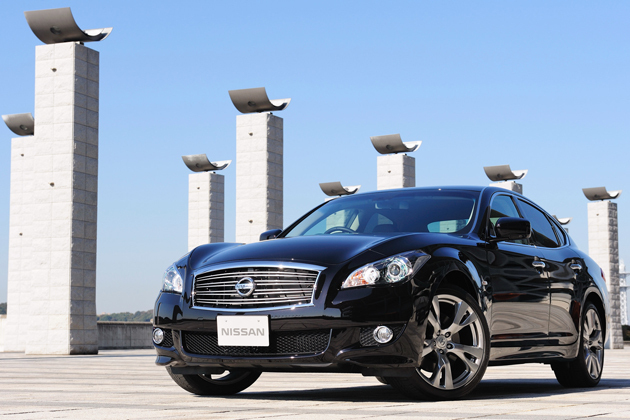 With the SL trim, the Maxima was clearly a near-luxury car that bridged the gap between Nissan and Infiniti models. For 2007, the CVT replaced both the manual and traditional automatic. A change in horsepower measuring procedure for '07 also yielded a 10 HP drop. The Maxima clearly showed that the nameplate was losing its way. It tried to simultaneously compete against larger sedans, such as the Avalon, while also providing the sort of exciting driving experience for which the Maxima was known. Ultimately, it did neither of the two things well and struggled to make a case for itself against the less expensive Altima. When the 7th gen Maxima came out for 2009, Nissan tried to recapture some of the 4DSC magic. This Maxima was smaller than the car it replaced and the less expensive Altima. Instead of being a flagship in terms of size, it was one in terms of luxury equipment, interior quality, driving dynamics and power. As for the upcoming 8th gen, Nissan is in the same position it was back in 2002-2004. The Altima is clearly a more popular choice among the average consumer. If Nissan were to make the 2015 Maxima any bigger than it currently is, it would definitely lead to the extinction of our beloved. Yes, you can make an argument that with the Maxima and Altima staying the same size and both offering the same V6 engine the Maxima will die off that way. But look at it this way, there's a reason why the 6th gen was arguably the least successful of the Maximas. It was too big and was trying to be a luxurious sport sedan, but failed to do so. Don't get me wrong, a car can definitely by luxurious and sporty simultaneously if engineered properly. But if Nissan were to engineer the 8th gen the way they did the 6th, more and more people will opt for the Altima or even the new Infiniti Q. The current 7th gen is living up to the Maxima name IMO. For the 8th gen, all it really needs is a styling update and Nissan definitely needs to replace the VQ35 with the VQ37. I highly doubt the Maxima will go AWD. And like I've mentioned a couple times before, making it any bigger than it currently is will not hold up very well for Nissan. Last edited by LudaTej; 05-16-2013 at 10:06 PM. Fwiw, a little birdy flew up and told me that the 8th gen should be expected by 2014-2015. LudaTej With the Altima you can either do one of two things to give the Maxima back its title, either Take away the V6 and just make the Altima only a 4 cylinder option available(200HP) or Make the Maxima a bit larger. Not bloated like the 6th gen but bigger than the current Altima. Until either one of those two things happen then the Maxima is not going to be in it's place. Making the Maxima even smaller than what it is will create alot of problems competition wise. Nobody's going to want to purchase the Maxima if it gets any smaller. People will say the Altima has more room i'm going for it or go to the Infiniti Q50. Your flagship sedan should never be smaller than your midsize! The 6gens size wasn't the problem it was the lack of sport missing that made the difference. Last edited by Chris Alexander; 05-25-2013 at 05:15 PM. Well said. I definitely agreee with you in how you describe the maxima getting too big. And I'm curious: when you say 4.5 gen do you mean the 97-99 Maxima? Being a 6th gen owner the car drives feels and looks more expensive than it really is You'd swear it was a Lexus product. And I always been suprised at the number of people in the max forum who complained about it. It's a phenomenal car. Basically you put it next to a Mercedes E350 2005 you'd swear the 6th gen Max is a bigger better car. Hopefully there is similar refinement in the 8th Generation. Only dissapointment in the 6th gen I'd say reliablity has been hasty but it makes up for it in ride and handling. Last edited by Chris Alexander; 05-29-2013 at 05:00 PM. Is the new Nissan front or rear wheel drive ? I would think size wouldn't change too much, maybe adding a bit more rear leg room (biggest size complaint about the max). I'm curious to see what output will be because it needs to be set apart from the altima with the VQ. I don't really see the Max getting a manual or an automatic, Nissan's CVT is its baby right now. AWD is a possibility, with the murano having it now, it wouldn't be hard to institute, however I think it would step on infinity's toes, and I just don't see RWD happening, but you never know, its just not practical for a lot of the population, and again don't wanna step on infinity's toes. I see a lot more technology coming, possibly a F/I 4 or 6 cylinder of some sort to get power and MPG, and I would say most likely a hybrid version as Nissan plans to roll out a BUNCH of them in the next few years. As far as looks, hard to say, I know it will look drastically different as I know a couple people who have seen it, as well as the new Murano, and Titan. Last edited by BlackBuckeyeMax; 05-30-2013 at 09:09 AM. BlackBuckeyeMax Nice picture it belongs in a car magazine. The 8th gen has alot of work to do. The need to make the new Maxima far ahead of the competition in economy,power and size. 19/26 is current fuel economy 21 city 31 highway would work. Has anybody actually seen a real spy photo of the 8th gen Max? Agree with you 110% on this. Flagship sedans have become unpopular in general. The reason why being that midsize sedans now offer 4 and 6 cyl engines which attracts a larger population. I'm not just talking about Nissan, but other manufacturers as well. Those people considering to buy a V6 wither go for the 6cyl Altima or Camry over the Maxima or Avalon, or jump into the luxury brands and buy a base model Infiniti G or Lexus ES. Although the latter two are a little smaller in size and may lack a few techy gadgets here and there, the nameplate of it being a luxury brand is a lot more attractive. And did I mention it has the same price tag? No one is going to have the perception that a fully loaded Maxima is luxurious until they sit inside since it's base model is anything but that. It's more like a guessing game. With the G however, you already know it's a luxury car no matter what trim level it is. This factor attracts buyers who just want to show their cars off to people. Even for myself, when I was looking for a car about 2 months ago I was looking at 07-08 G35s and 09+ Maximas. In the end, it came down to an 09 Maxima with 30k miles for $15,500 or an 07 G35 with 65k for $16,000. It was a tough decision and I don't know what swayed me into buying the Max but I can say I don't regret it at all. Last edited by LudaTej; 05-30-2013 at 12:45 PM. Yes the 4.5 gen was 97-99. I had a 98, went to a 2000, and now I'm at an 09. I've only had the 09 for a little over a month now but it's definitely the most fun to drive IMO. LudaTej Thanks man I know what you mean. The route of the problem goes back to 2002 The Altima suddenly became a larger car with V6 option but then 2004 came and the Maxima got big. Something tells me the 8th generation Maxima is gonna shock us. Back in 2004 when the 6th gen Maxima came out it grew to large not just in size but in every way. Basically it became a Lexus all of a sudden and I think it was a bit much for most of us Maxima people. 2009 with the 7th gen all the Luxury toned down a bit and more sport came. The 8th gen can't be too Luxurious but it cant be too sport it all has to be balanced out by Nissan. Look at this take it widen it and put 4 doors on it and you got a Maxima. Yall will be popping fireworks in here if they make this a Maxima. Maybe DI for more power and the new CVT will save the Maxima until the Altima becomes 4 cyl across the board. The Infinitis were not selling well last time I saw numbers on them. It will be interesting to see how it all shakes out but the Altima must go to 4 cyl power to help meet the increasingly stringent fuel economy standards. Seems doubtful the Maxima will get a larger displacement 3.7 in this climate. A 3.5 with DI could be more efficient than the current VQ. Also would put the car over 300 HP which many competitors already have. All in all, the Maxima is caught in between and the Infinitis need to "Move up" a tad and the Altimas need to lose the 6 cyl or simply make the two cars identical except make the Max a more luxurious and powerful Altima MAX model. Lease is up next summer... if there is pull-ahead program in effect... and I have become addicted to driving a newer car that is in warranty. With incentives and loyalty programs, a Max is very close in lease cost to the Altima...bigger incentives to date. Should be killer deals on the 2014 models so unless the 8th generation is exciting and reasonable, the tentative plan is to lease our 3rd 7th generation Maxima. The deals are terrific for lease loyalty customers. Location: Chandler , AZ . this looks more like a z than anything. Z35 maybe?